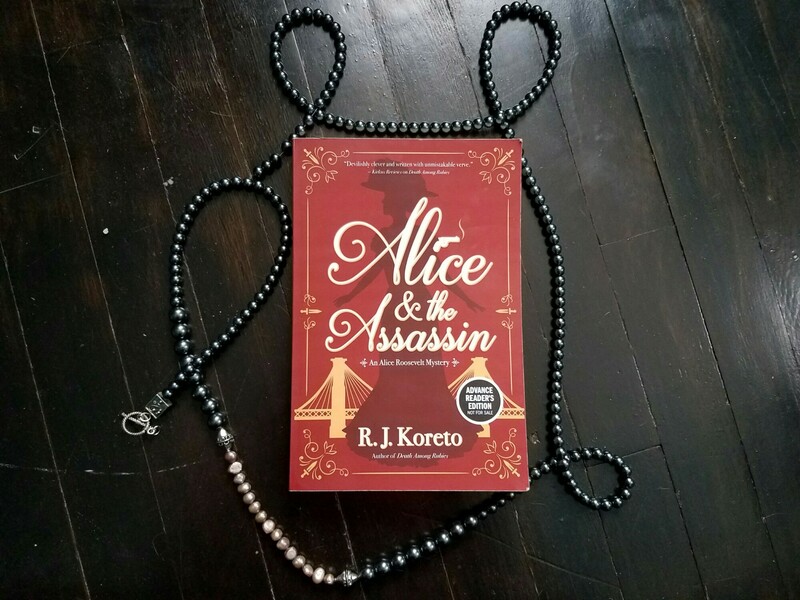 R.J. Koreto brings this remarkable woman to life in the historical mystery Alice and the Assassin. Koreto is an old hand at historical mysteries, his Lady Frances Ffolkes series features another strong (and fictional) heroine, and is quite a fun read (you can read my review of Death Among Rubies here). This book, hopefully the first of several, features seventeen-year-old Alice and her Secret Service bodyguard, Joseph St. Clair. The year is 1902, and Theodore Roosevelt has recently ascended to the presidency after the assassination of William McKinley by Leon Czolgosz. Alice, wishing to satisfy her own curiosity about the incident, decides to seek out famous anarchist, and associate of Czolgosz, Emma Goldman. However, this meeting seems to disturb powerful factions within the local community, and soon Alice and St. Clair find themselves embroiled in a wide-reaching conspiracy which may threaten another president. I am a fan of Koreto’s previous work and this book did not disappoint. Alice is well realized, both as a vulgarity-slinging iconoclast and a sheltered seventeen year old who wants to protect her family. Historical details are sprinkled throughout with satisfying accuracy, and those aspects which are fictionalized for the plot roll nicely into the feel of the era. The book begins with some stutters as the author introduces us to the protagonists and the world they inherit, but rapidly finds its footing. The pacing is splendid, with enough narrative false trails and red herrings to make for an enjoyable mystery. The plot, while fictional, is based on real events, and the final solution to the plot feels a bit too possible for comfort. In all, fans of historical mysteries will enjoy this book. I would recommend Alice and the Assassin to fans of Victoria Thompson’s Gaslight Mystery Series, Deanna Raybourn‘s books, or the Maisie Dobbs series. Anyone looking for an engaging book featuring a strong female protagonist will also enjoy this book.